Some books are available in PDF format. To read and print them you will need the free software Adobe Acrobat Reader. 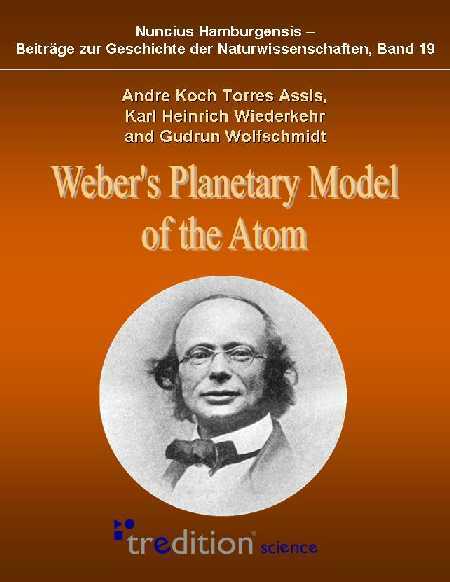 7 - A. K. T. Assis, K. H. Wiederkehr and G. Wolfschmidt, Weber’s Planetary Model of the Atom (Tredition Science, Hamburg, 2011), 184 pages, ISBN: 9783842402416. Edited by G. Wolfschmidt. Table of Contents. Cover. Errata. Price: EU$ 14.90 plus shipping. To order: Tredition Science. 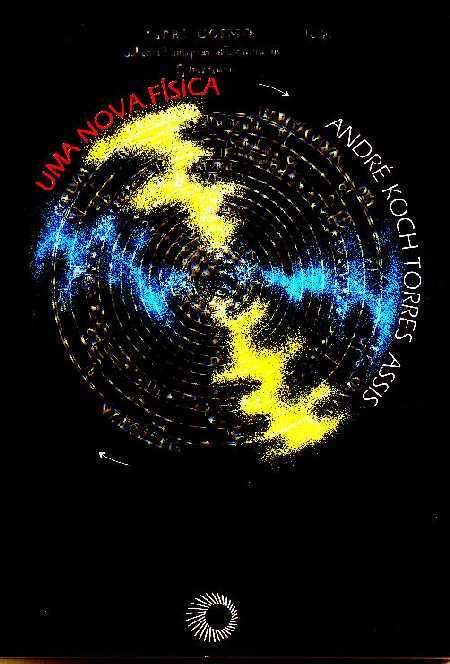 This book can also be ordered from Amazon: http://www.amazon.de/Webers-Planetary-Model-Andre-Torres/dp/3842402414. Review of this book: U. Hoyer, Gauss-Gesellschaft Mitteilungen, Vol. 49, pp. 121-123 (2012). 5 – A. K. T. Assis, “Archimedes, the Center of Gravity, and the First Law of Mechanics: The Law of the Lever” (Apeiron, Montreal, 2nd edition, 2010), 223 pages, ISBN: 9780986492648. Second edition of this book in PDF format (2 Mb): Archimedes-2nd-edition.pdf. 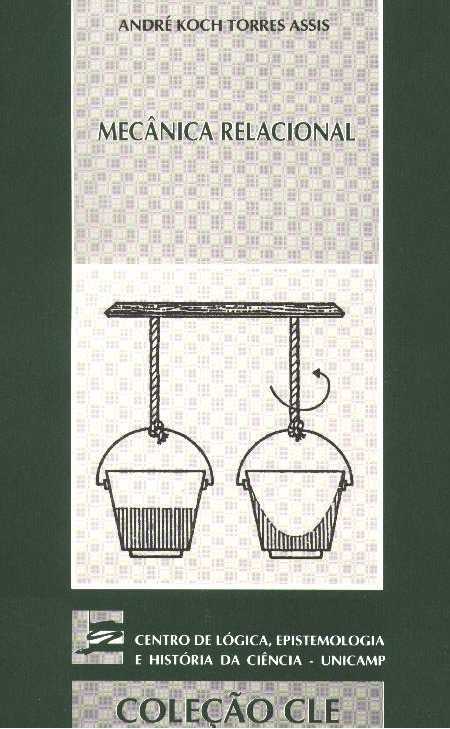 First edition: A. K. T. Assis; “Archimedes, the Center of Gravity, and the First Law of Mechanics” (Apeiron, Montreal, 1st edition, 2008), 187 pages, ISBN: 9780973291162. First edition of this book in PDF format (2 Mb): Archimedes-1st-edition.pdf. Errata of the 1st edition. Price: US$ 20.00 plus shipping. To order write to: Apeiron, 4405 rue St.-Dominique, Montreal, Quebec H2W 2B2, Canada, E-mail: apeiron@vif.com This book can also be ordered by Amazon: 2nd edition: http://www.amazon.com/Archimedes-Center-Gravity-First-Mechanics/dp/0986492647/. 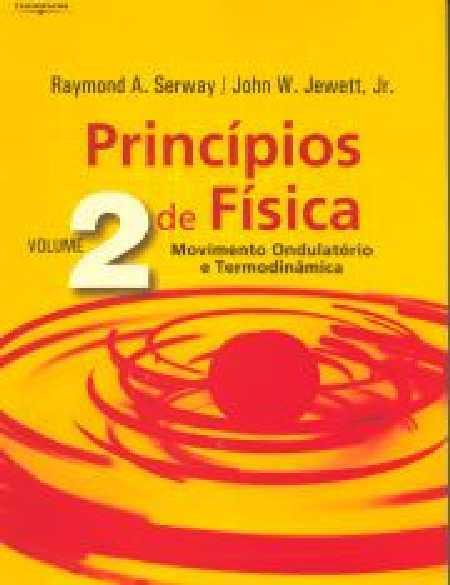 1st edition: http://www.amazon.com/Archimedes-Center-Gravity-First-Mechanics/dp/0973291168 Review of this book: (A) M. Danhoni, Arquimedes, Jornal da Ciкncia da SBPC, JC e-mail 3567, 01 de agosto de 2008. 4 – A. K. T. Assis and J. A. Hernandes, The Electric Force of a Current: Weber and the Surface Charges of Resistive Conductors Carrying Steady Currents (Apeiron, Montreal, 2007), 239 pages, ISBN: 9780973291155. Book in PDF format (5 Mb): The-Electric-Force-of-a-Current.pdf. Errata. Price: US$ 20.00 plus shipping. 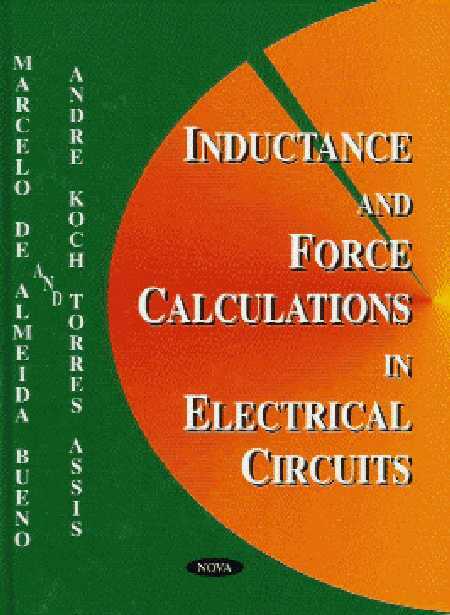 To order write to: Apeiron, 4405 rue St.-Dominique, Montreal, Quebec H2W 2B2, Canada, E-mail: apeiron@vif.com This book can also be ordered by Amazon: http://www.amazon.com/Electric-Force-Current-resistive-conductors/dp/097329115X and at Barnes and Noble: http://www.barnesandnoble.com Reviews about this book: (A) J. Fukai, Note de Lecture, Annales de la Fondation Louis de Broglie, Vol. 32, pp. 557-558 (2007); (B) L. Hecht, Wilhelm Weber defended, 21st Century Science & Technology, Fall 2007, p. 72; (C1) H. Torres-Silva, Review of book, Ingeniare, Revista Chilena de Ingenierнa, Vol. 16, pp. 273-274 (2008); (C2) H. Torres-Silva, Reseсa de libro, Ingeniare, Revista Chilena de Ingenierнa, Vol. 16, pp. 275-277 (2008); (D) H. Hдrtel, Buchbesprechung, Mitteilungen der Gauss-Gesellschaft, Vol. 45, pp. 122-123 (2008). 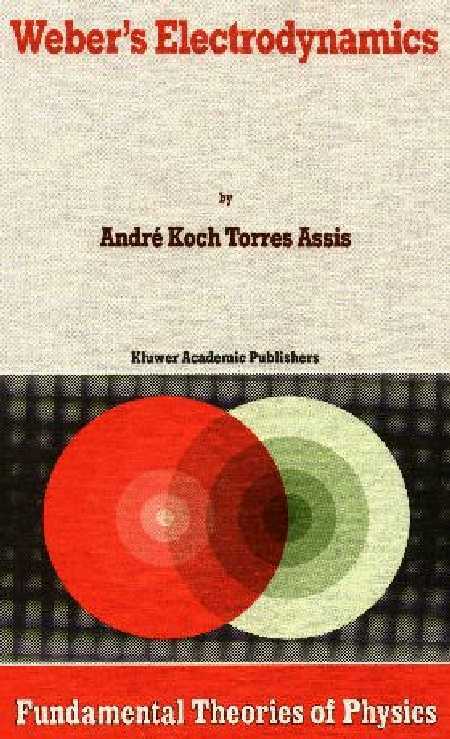 2 – A. K. T. Assis, Relational Mechanics (Apeiron, Montreal, Canada, 1999), 285 pages. Book in PDF format (3 Mb): Relational-Mechanics.pdf. ISBN: 0968368921. Errata. Price: US$ 25.00 plus shipping. To order write to: Apeiron, 4405 rue St.-Dominique, Montreal, Quebec H2W 2B2, Canada, E-mail: apeiron@vif.com This book can also be ordered by Amazon: http://www.amazon.com/Relational-Mechanics-Andre-K-T-Assis/dp/0968368921 and at Barnes and Noble: http://www.barnesandnoble.com Reviews about this book: (A) T. E. Phipps Jr., Book Reviews: Relational Mechanics, Apeiron, Vol. 7, pp. 113-115 (2000); (B) A. E. Chubykalo, Book Reviews: Relational Mechanics, Apeiron, Vol. 7, p. 115 (2000); (C) T. E. Phipps Jr., Book Review: Relational Mechanics, Foundations of Physics, Vol. 30, pp. 171-173 (2000); (D) O. Costa de Beauregard, Notes de lecture: Relational Mechanics, Annales de la Fondation Louis de Broglie, Vol. 25, pp. 267-268 (2000); (E) T. E. Phipps Jr., Book Review: Relational Mechanics, Infinite Energy, Vol. 38, July-August 2001, pp. 67-70; (F) Marco Mamone Capria, Book Review: Relational Mechanics, Episteme, Vol. 3, p. 21 (2001). (G) A good discussion of Relational Mechanics in Spanish can be found in the book Inercia y Gravitacion – La Verdadera Influencia de los Astros, of J. G. Valverde (with the collaboration of J. Tramaglia and R. Rapacioli), (Fundacion Julio Palбcios, Universidad Nacional Del Comahue, Argentina, 1999), ISBN: 9879770307. 1 – A. K. T. Assis, Weber's Electrodynamics (Kluwer Academic Publishers, Dordrecht, 1994), 288 pages. Volume 66 of the series Fundamental Theories of Physics. Table of Contents. Preface. Hardbound, ISBN: 0792331370. Cover. Errata. Price: US$ 339.00 plus shipping. To order: Springer. 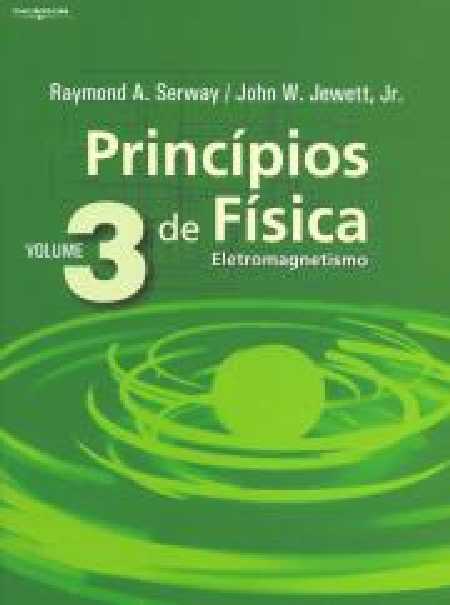 This book can also be orderred by Amazon: http://www.amazon.com/Webers-Electrodynamics-Fundamental-Theories-Physics/dp/0792331370 and at Barnes and Noble: http://www.barnesandnoble.com Reviews about this book: (A) T. E. Phipps Jr., Book review: Weber's Electrodynamics, Foundations of Physics, Vol. 25, pp. 1111-1115 (1995); (B) O. Costa de Beauregard, Notes de lecture: Weber's Electrodynamics, Annales de la Fondation Louis de Broglie, Vol. 20, pp. 523-524 (1995); (C) J. P. Wesley, Book review: Weber's Electrodynamics, Foundations of Physics Letters, Vol. 8, pp. 299-301 (1995); (D) W. Kaiser, "Book Reviews: Weber's Electrodynamics", Isis, Vol. 87, pp. 735-736 (1996), (E) O. Darrigol, Analyses d'ouvrages: Weber's Electrodynamics, Revue d'Histoire des Sciences, Vol. 50, 1/2 Janvier-Juin, p. 213 (1997); (F) J. Fukai, Book reviews: Weber's Electrodynamics, Apeiron, Vol. 6, pp. 115-116 (1999), (G) O. Costa de Beuaregard, Notes de lecture: Weber's Electrodynamics, Annales de la Fondation Louis de Broglie, Vol. 24, pp. 212-213 (1999). 9 - A. K. T. Assis and J. P. M. d. C. Chaib, "Eletrodinвmica de Ampиre: Anбlise do significado e da evoluзгo da forзa de Ampиre, juntamente com a traduзгo comentada de sua principal obra sobre eletrodinвmica" (Editora da Unicamp, Campinas, 2011), 589 pages, ISBN: 9788526809383. Cover. Table of Contents. Price: Approximately US$ 40.00 plus shipping. To order write to: Editora da UNICAMP, Rua Caio Graco Prado 50, 13083-892 Campinas - SP, Brazil. Telephone: +55 (19) 35217787, Fax: +55 (19) 35217207, homepage: http://www.editora.unicamp.br/eletrodinamica-de-ampere.html, e-mail: vendas@editora.unicamp.br. 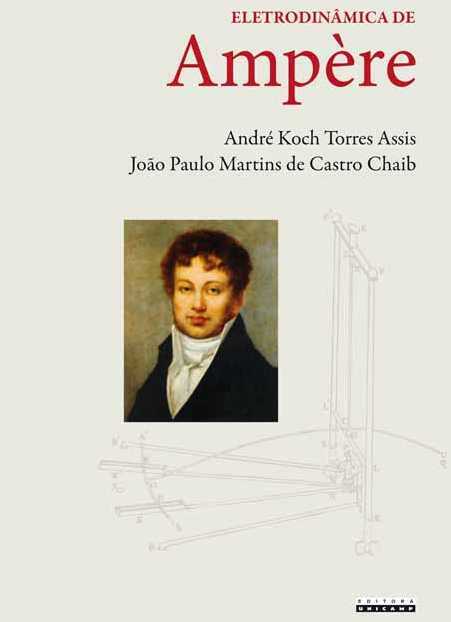 This book received the Jabuti Book Prize 2012 given by the Brazilian Book Chamber - Cвmara Brasileira do Livro, as book of the year in the area of Exact Sciences and Technology. Review about this book: J. J. Caluzi, Resenha: Eletrodinвmica de Ampиre, Caderno Brasileiro de Ensino de Fнsica, Vol. 29, Number 2, pp. 345-349 (2012). 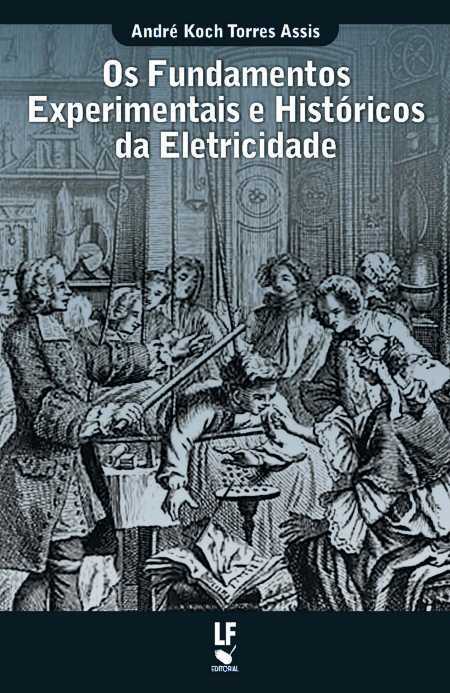 8 - A. K. T. Assis, Os Fundamentos Experimentais e Histуricos da Eletricidade (Apeiron, Montreal, 2010), 274 pages, ISBN: 9780986492617. 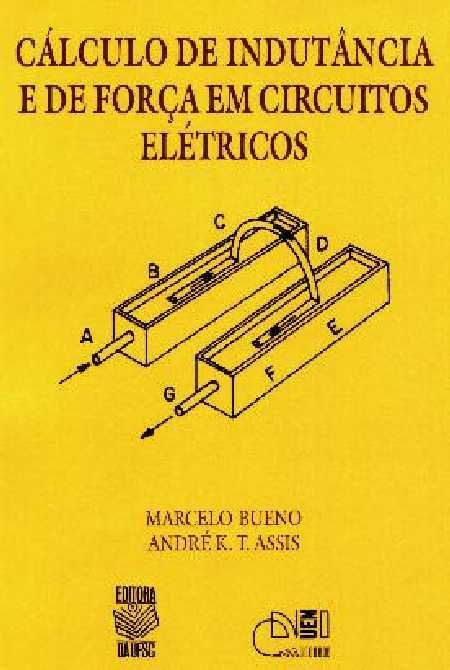 Book in PDF format (4 Mb): Eletricidade.pdf. Price: US$ 20.00 plus shipping. To order write to: Apeiron, 4405 rue St.-Dominique, Montreal, Quebec H2W 2B2, Canada, E-mail: apeiron@vif.com This book can also be ordered by Amazon: http://www.amazon.com/dp/0986492612 This book has also been published in Brazil: A. K. T. Assis, Os Fundamentos Experimentais e Histуricos da Eletricidade (Editora Livraria da Fнsica, Sгo Paulo, 2011), 266 pages, ISBN: 9788578610975. Cover. Table of Contents. Price: Approximately US$ 30.00 plus shipping. To order: http://www.livrariadafisica.com.br/detalhe_produto.aspx?id=102189 Review about this book: F. L. d. Silveira, Resenha: Os Fundamentos Experimentais e Histуricos da Eletricidade, Caderno Brasileiro de Ensino de Fнsica, Vol. 27, Number 2, pp. 411-415 (2010). 7 - A. K. T. Assis and J. A. Hernandes, “A Forзa Elйtrica de uma Corrente: Weber e as Cargas Superficiais de Condutores Resistivos com Correntes Constantes,” (Edusp and Edufal, Sгo Paulo and Maceiу, 2009), 256 pages, Volume 73 of the series Acadкmica, ISBNs: 9788531411236 (Edusp) and 9788571774315 (Edufal). Cover. Table of Contents. Preface. Price: Approximately U$ 24.00 plus shipping. To order write to: Edusp - Editora da Universidade de Sгo Paulo, Av. Prof. Luciano Gualberto - Travessa J - 374 - 6є andar, Cidade Universitбria, CEP 05508-010 Sгo Paulo - SP, Brayil; telephones: ++55 (11) 30912911, 30914008 and 30914150; fax: ++55 (11) 30914151, e-mail: edusp@edu.usp.br; or write to: Edufal – Editora da Universidade Federal de Alagoas, UFAL, Prйdio da Reitoria, Andar Tйrreo, Campus A. C. Simхes, BR 104 km 97,6, Tabuleiro dos Martins, 57072-970 Maceiу, AL, Brazil, telephone and fax: ++55 (82) 32141111. 6 – A. K. T. Assis, “Arquimedes, o Centro de Gravidade e a Lei da Alavanca” (Apeiron, Montreal, 2008), 243 pages, ISBN: 9780973291179. Book in PDF format (2.6 Mb): Arquimedes.pdf. Errata. Price: US$ 22.00 plus shipping. To order write to: Apeiron, 4405 rue St.-Dominique, Montreal, Quebec H2W 2B2, Canada, E-mail: apeiron@vif.com This book can also be orderred by Amazon: http://www.amazon.com/Arquimedes-Centro-Gravidade-Lei-Alavanca/dp/0973291176 This book has also been published in Brazil: A. K. T. Assis, "Arquimedes, o Centro de Gravidade e a Lei da Alavanca" (Editora Livraria da Fнsica, Sгo Paulo, 2011), 236 pages, ISBN: 9788578611057. Cover. Table of Contents. Price: Approximately US$ 20.00 plus shipping. To order: http://www.livrariadafisica.com.br/detalhe_produto.aspx?id=102221 Our interview in Portuguese about this book: M. A. Marino and A. F. Sartori, Formadores do Nъcleo EaD do Cecemca, Professor Andrй de Assis fala de seu livro sobre Arquimedes em entrevista ao Portal CECEMCA. 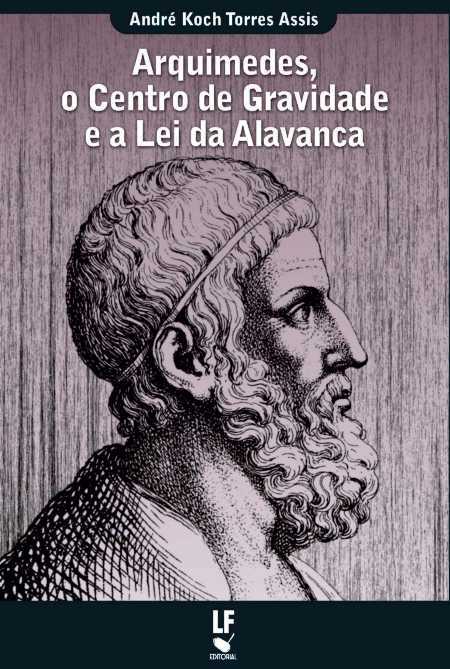 Reviews of this book: (A) N. Studart, Resenha: Arquimedes, o Centro de Gravidade e a Lei da Alavanca, A Fнsica na Escola, Vol. 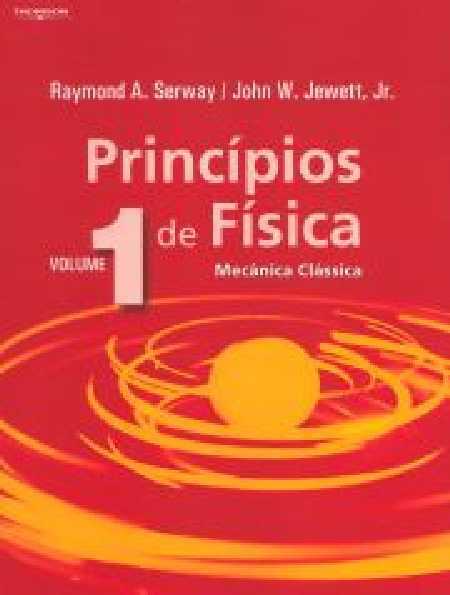 9, n. 2, p. 44 (2008); (B) D. F. Carvalho Jacobucci, Resenha: Arquimedes, o Centro de Gravidade e a Lei da Alavanca, Caderno Brasileiro de Ensino de Fнsica, Vol. 26, n. 1, pp. 218-221 (2009). 4 – A. K. T. Assis, Mecвnica Relacional, (Editora do CLE da UNICAMP/FAPESP, Campinas, Brazil, 1998), 349 pages. Book in PDF format (2 Mb): Mecanica-Relacional.pdf. ISBN: 8586497010. Cover. Errata. Price: Approximately US$ 20.00 plus shipping. To order write to: Centro de Lуgica Epistemologia e Histуria da Ciкncia, UNICAMP, CEP 13081-970 Campinas - SP, Brazil, telephone: (++55) (19) 35216522, fax: (++55) (19) 32893269, E-mail: logica@cle.unicamp.br and daniel@cle.unicamp.br Reviews of this book: (A1) A. Zylbersztajn, Resenha de Mecвnica Relacional, Caderno Catarinense de Ensino de Fнsica, Vol. 15, nъmero 2, pp. 210-212 (1998), review in Portuguese; (A2) A. Zylbersztajn, Reseсa: Mecвnica Relacional, Caderno Catarinense de Ensino de Fнsica, Vol. 15, nъmero 2 (1998), review in Spanish; (B) W. Barroso, Fнsico revк polкmica Newton/Leibniz, Brazilian newspaper O Tempo - Ano 3, nъmero 822, Caderno Magazine, p. 3, 27/02/99; (C) D. S. L. Soares, O balde de Newton e o espaзo absoluto: Uma resenha de Mecвnica Relacional, de Andrй Koch Torres Assis, CLECH, UNICAMP, (1998), 349p, Revista Brasileira de Ensino de Fнsica, Vol. 21, pp. 558-560 (1999). (D) Uma boa discussгo da Mecвnica Relacional encontra-se em espanhol no livro Inercia y Gravitacion – La Verdadera Influencia de los Astros, de J. G. Valverde (com a colaboraзгo de J. Tramaglia e R. Rapacioli), (Fundacion Julio Palбcios, Universidad Nacional Del Comahue, Argentina, 1999), ISBN: 9879770307. 3 – Marcelo Bueno and A. K. T. Assis, Cбlculo de Indutвncia e de Forзa em Circuitos Elйtricos, (Editora da UFSC/Editora da UEM, Florianуpolis/Maringб, Brazil, 1998), 164 pages. Table of Contents. ISBN: 8532801196. Cover. Errata. Price: Approximately US$ 10.00 plus shipping. To order write to: Editora da Universidade Federal de Santa Catarina, Campus Universitбrio - Trindade, Caixa Postal 476, CEP 88010-970 Florianуpolis - SC, Brazil, Telephones: (++55) (48) 3319408, 3319605 e 3319686, Fax: (++55) (48) 3319680, E-mail: edufsc@editora.ufsc.br Reviews about this book: (A) O. Freire Jr., Debate redivivo, cem anos depois, Brazilian newspaper A Tarde - Caderno 4 - Cultural, p. 11, Salvador, 26/09/98, (B1) J. B. Bastos Filho, Resenha: Cбlculo de Indutвncia e de Forзa em Circuitos Elйtricos, Caderno Catarinense de Ensino de Fнsica, Vol. 16, Nъmero 2, pp. 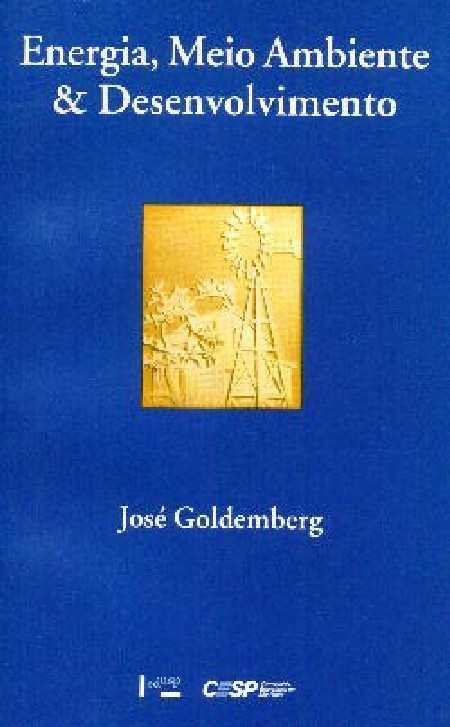 254-256 (1999), review in Portuguese, (B2) J. B. Bastos Filho, Reseсa: Cбlculo de Inductancia y de Fuerza en Circuitos Elйctricos, Caderno Catarinense de Ensino de Fнsica, Vol. 16, nъmero 2 (1999), review in Spanish. 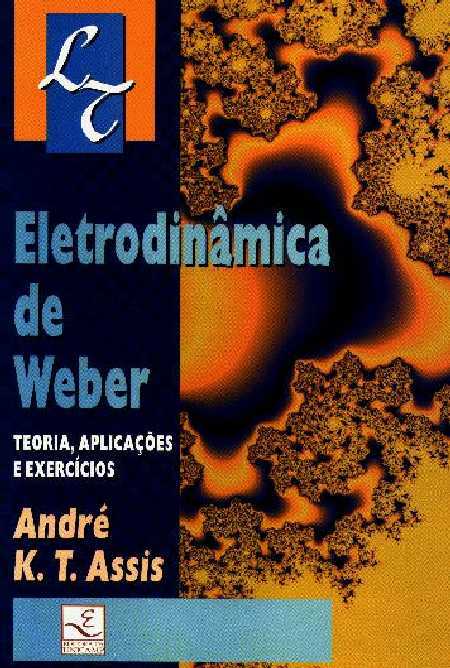 2 – A. K. T. Assis, "Eletrodinвmica de Weber - Teoria, Aplicaзхes e Exercнcios" (Editora da Universidade Estadual de Campinas, Campinas, Brasil, 1995), 195 pages. Table of Contents. Preface. ISBN: 8526803581. Cover. Errata. Price: Approximately US$ 15.00 plus shipping. To order write to: Editora da UNICAMP, 13083-970 Campinas - SP, Brazil. Telephones: (++55) (19) 35217716 and 35217728, Fax: (++55) (19) 35217728, e-mail: editora@unicamp.br. 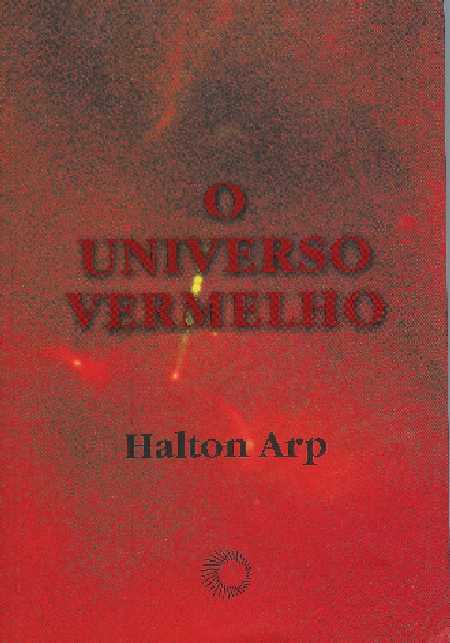 This book received the Jabuti Book Prize 1996 given by the Brazilian Book Chamber - Cвmara Brasileira do Livro, as book of the year in the area of Exact Sciences and Technology. 5 – Principia: Princнpios Matemбticos de Filosofia Natural, Livro II: O Movimento dos Corpos (em Meios com Resistкncia) and Livro III: O Sistema do Mundo (Tratado Matematicamente). Portuguese translation by A. K. T. Assis of Isaac Newton’s book Principia: Mathematical Principles of Natural Philosophy. (Editora da Universidade de Sгo Paulo - EDUSP, Sгo Paulo, Brasil, 2008), 332 pages. ISBN: 9788531410895. Table of Contents. Errata. Cover. To order write to: Edusp - Editora da Universidade de Sгo Paulo, Av. Prof. Luciano Gualberto - Travessa J - 374 - 6є andar, Cidade Universitбria, CEP 05508-010 Sгo Paulo - SP, Brasil. Telephones: (11) 30912911, 30914008 and 30914150, fax: (11) 30914151. E-mail: edusp@edu.usp.br Book III has also been published in Coleзгo Folha de Sгo Paulo, Livros que Mudaram o Mundo, Volume 9, 120 pages, ISBN: 9788563270306 (Folha de Sгo Paulo, Sгo Paulo, Brasil, 2010). Errata. Cover. To order write to: Folha de Sao Paulo, Diretoria de Circulaзгo, Alameda Barгo de Limeira 401, 01202-900 Sгo Paulo, SP, Brasil. 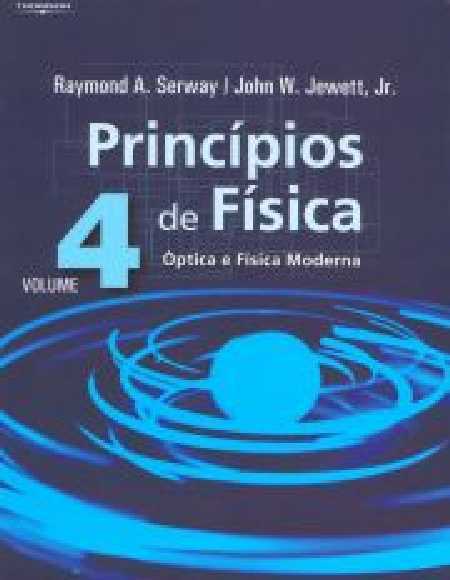 1 – Уptica - Complete Portuguese translation of the book Optics, by Isaac Newton. Translation, Introduction, Preface and Explanatory Notes by A. K. T. Assis (Edusp, Sгo Paulo, Brazil, 1996), 294 pages. Table of Contents. ISBN: 8531403405. Cover. Price: Approximately US$ 11.00 plus shipping. To order write to: Edusp - Editora da Universidade de Sгo Paulo, Av. Prof. Luciano Gualberto - Travessa J - 374 - 6є andar, Cidade Universitбria, CEP 05508-900 Sгo Paulo - SP, Brazil. Telephones: (++55) (11) 30912911, 30914008 and 30914150, fax: (++55) (11) 30914151. E-mail: edusp@edu.usp.br Reviews about this translation: (A) H. Fleming, Tudo era luz, Brazilian newspaper Folha de Sгo Paulo, Discurso Editorial/USP/Unesp, jornal de resenhas, p. 3, 08/11/96; (B) S. H. B. Livi, Уptica de Newton, alйm da luz, Episteme, Porto Alegre, n. 8, pp. 161-162, jan./jun. 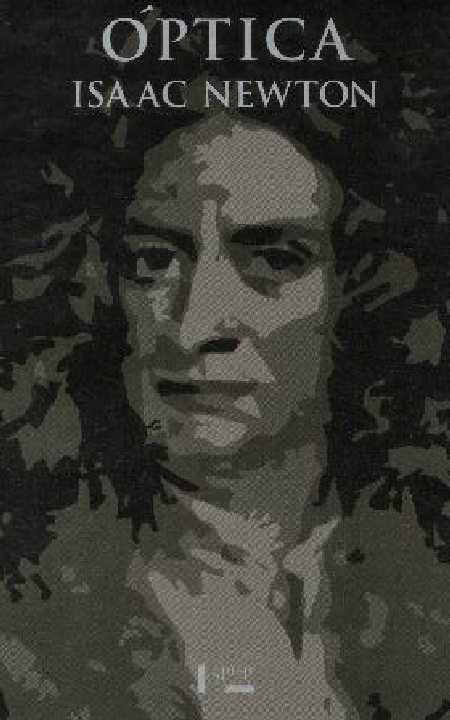 1999; (C) Carlos Fiolhais, Um clбssico de Newton, Gazeta de Fнsica (Sociedade Portuguesa de Fнsica), Vol. 22, No. 4, pp. 37-40 (outubro de 1999), Seзгo Livros e Multimнdia.